Pay attention to this powerful, functional hard drive docking station! The next generation USB 3.0 technology enables lightning fast data transfer speed of up to 4.8 Gbps. 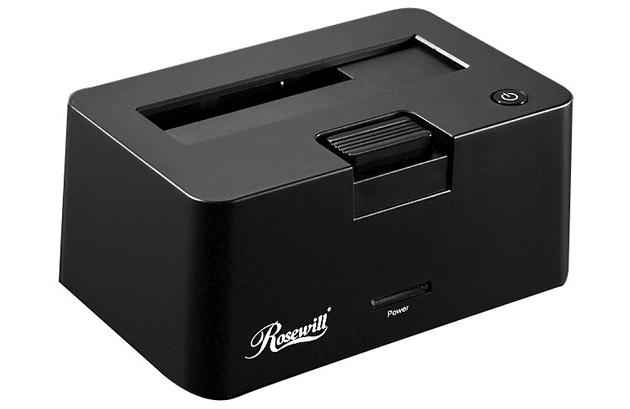 Through the Rosewill RX-DU300, any SATA hard drive is turned into an external storage device in minutes. The dock supports all 2.5 inch or 3.5 inch SATA hard disk drives. Thanks to the huge storage, you needn’t rack your brains to determine which one should be deleted in your favorite movies, music, photos and precious documents. The dock station is hot-swappable, letting you plug and unplug the unit without needing to reboot.